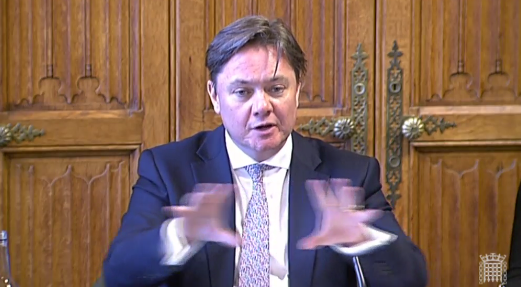 "I do find it astonishing that you didn't do the homework beforehand," the business select committee chair told Transline after it failed to answer questions about the Asos warehouse in Barnsley. The company that supplies agency workers to Asos and Sports Direct warehouses was accused of having not done enough "homework" when its representative faced questions from MPs during an inquiry into modern working practices in Britain. 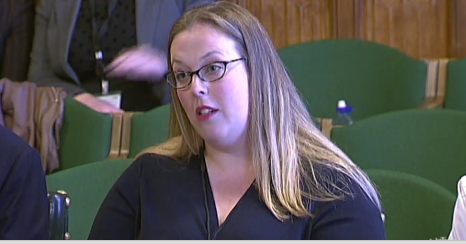 Transline, a recruitment firm, came under scrutiny from Iain Wright MP, the chair of the business select committee, as he probed finance director Jennifer Hardy during ongoing evidence sessions about the current world of work and workers' rights in the gig economy. This particular session looked into the prevalence of agency workers. However, Wright accused Hardy of having failed to do enough preparation when she was unable to answer questions about working conditions at Asos to his satisfaction. Hardy was asked whether there had been any "changes" at the warehouse in Barnsley following "investigations by BuzzFeed and by the BBC" into allegations of poor conditions. A three-month investigation by BuzzFeed News uncovered allegations around the use of annualised and agency contracts, stressed workers, and an overbearing security regime at the site, which is run by logistics giant XPO. Asos has said the allegations are "inaccurate". Hardy told the committee she believed Asos to be a "good example of a warehouse" but added that she was "not in a position to answer that question, really". "If those instances did happen," she continued, then she believed Asos would be making "very, very positive steps". "I'm not saying there was anything, I'm saying if there was something there that was found, then yes that's changed," Hardy said. Wright, in response, said he found it "astonishing" that Hardy, who had previously appeared before MPs in 2016 to answer questions about Sports Direct following a Guardian investigation, could not answer the question. "You have been here before, Jennifer. You sort of know what we’re like. Didn’t you do any checks with your representatives at Asos to say what’s happened since the summer?" Wright said. "I do find it astonishing that you didn't do the homework beforehand." He added: "I would expect you to have a flavour of what's going on there." Speaking in defence of the use of agency workers, Hardy said there were "lots of variables" that impacted her clients' businesses, including highs and lows in demand driven by events such as summer, Christmas, "Black Friday", and sales. "The hardest thing for our clients is to know whether you or I will click a button and say, 'Do I want to buy that or not today?' – that's a very difficult thing to determine and that's the reason why they require the flexibility," she said. Wright continued: "So if we have a glorious summer and people want to spend money on clothes, and then if we have a poor summer, and a washout on a bank holiday, and people won't – you will adapt your working rota as a result of that, won't you?" "Yes, we would adapt the working rota. We'd also adapt the intake that's required," Hardy replied. "And that's to the detriment of the workers, isn't it?" Wright added. "Because you will say to me the following week: Do you know what, it's raining outside, we don't need work." The committee also heard from the unions Unite and GMB, which claimed the wide-scale use of agency staff was a "business choice" and not a necessity. Tim Roache, GMB general secretary, said he believed the Asos warehouse employed up to 50% agency staff versus permanent employees at certain times – a figure that would be disputed by XPO, which has previously claimed that 80% of hours are worked by permanent employees. GMB also said it wanted to see a cap on the number of agency workers a company can have on the books at any one time, and used the committee session to suggest companies should publish the proportion of work conducted by agency workers. Roache later told the committee that the "silence [from Transline on Asos] was deafening". In a session spanning more than two hours, the committee of MPs also heard from representatives from the Association of Recruitment Consultancies, Extraman Ltd, EEF, Resolution Foundation, and the Association of Labour Providers.